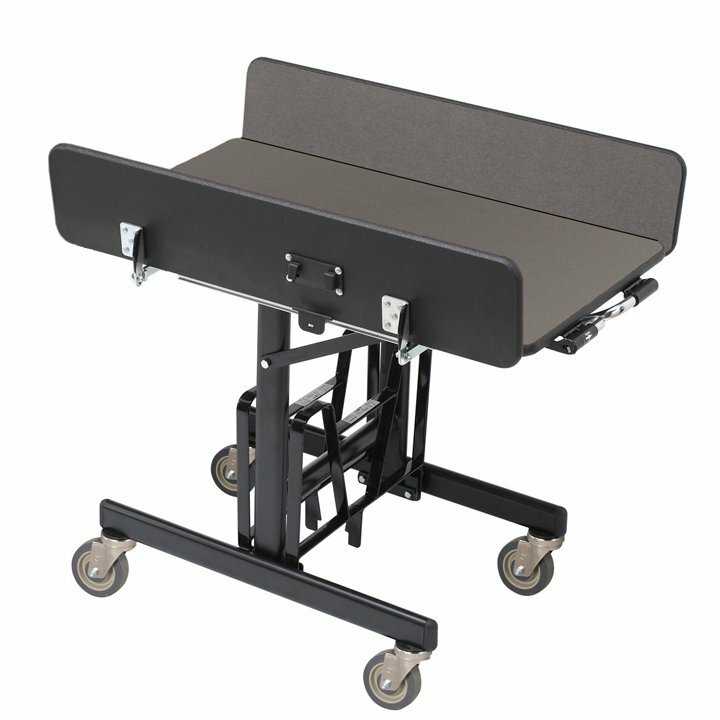 A smartly designed and smooth-rolling room service table from SICO® offers user-friendly ease for staff and guests alike — from your first-floor kitchen to your top-floor suites. 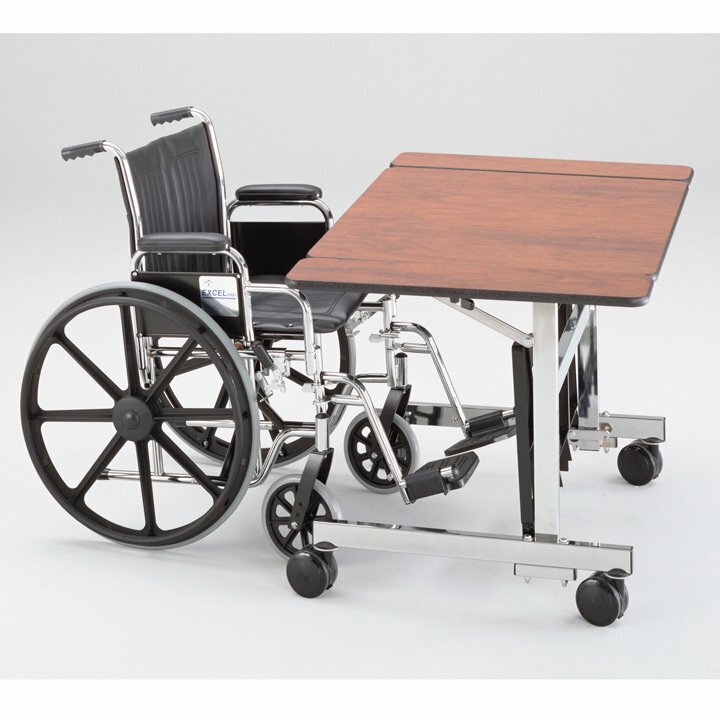 Choose from a variety of options to fit your specific needs. 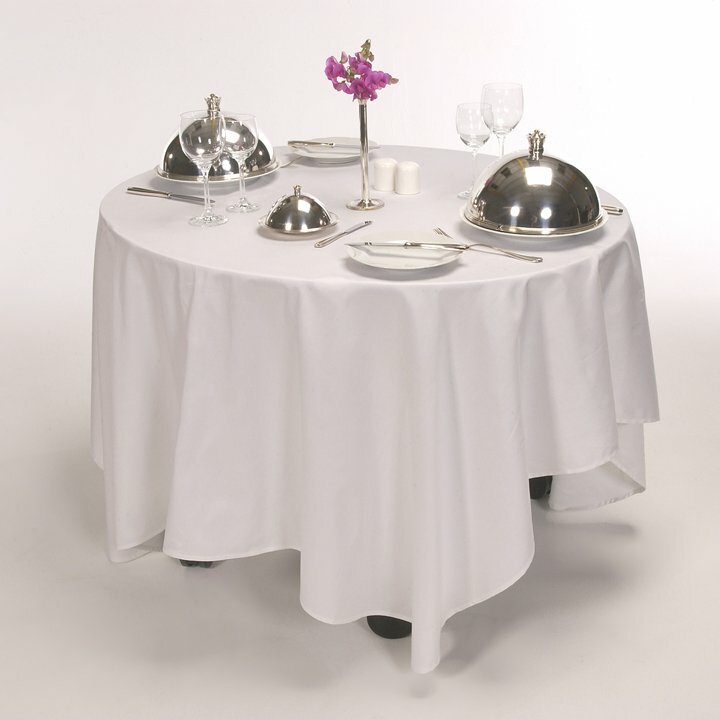 A SICO® Room Service table moves subtly, smoothly and quietly, whether rolling to guest rooms or returning to the kitchen. 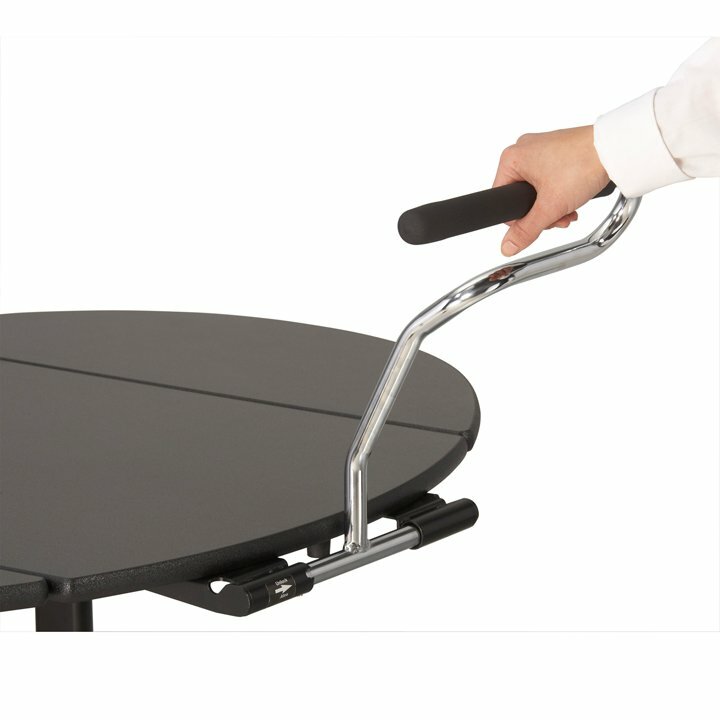 Vinyl-coated storage racks eliminate noisy metal-to-metal contact when transporting food warmers or other items. 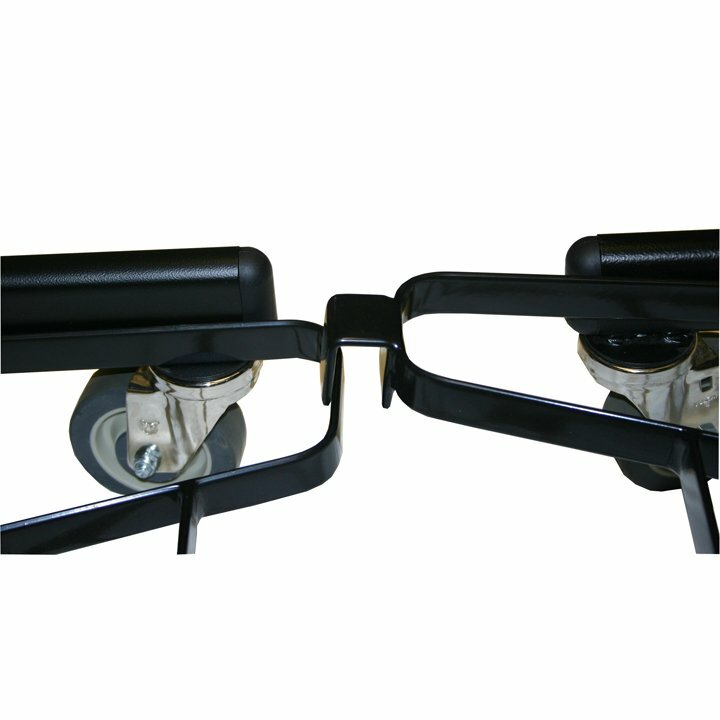 The superior engineering of our 4" (10.16 cm) resort caster generates quieter and more durable performance while also being easier to clean. 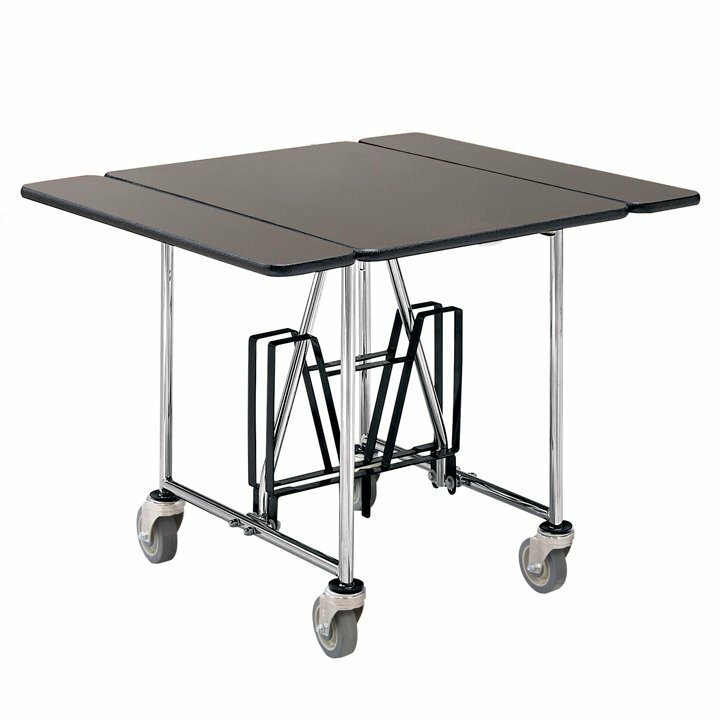 And, optional unit-to-unit connectors also allow one person to pick up or deliver a train of multiple tables — saving time and labor. 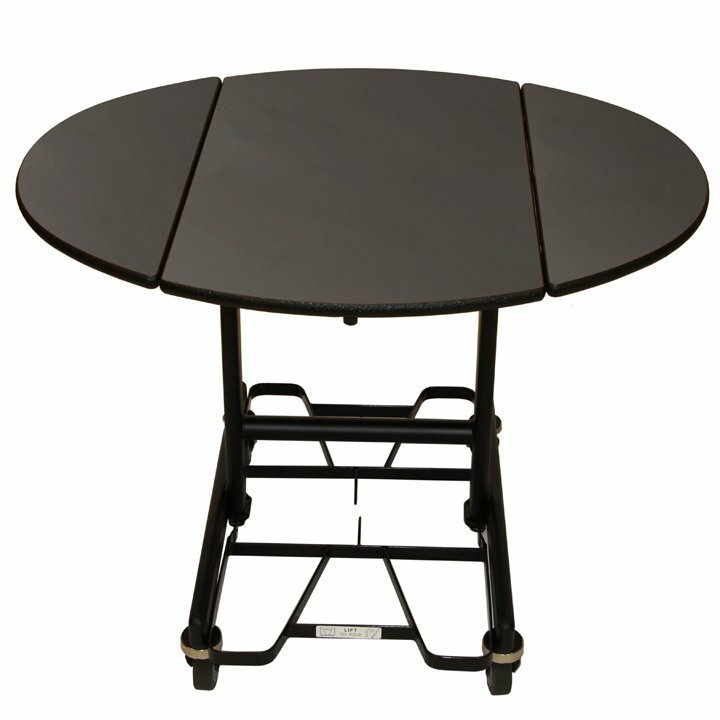 Our oval-shaped, right-sized tables won't crowd your guest rooms, and make it easier for guests to reach everything on the table. 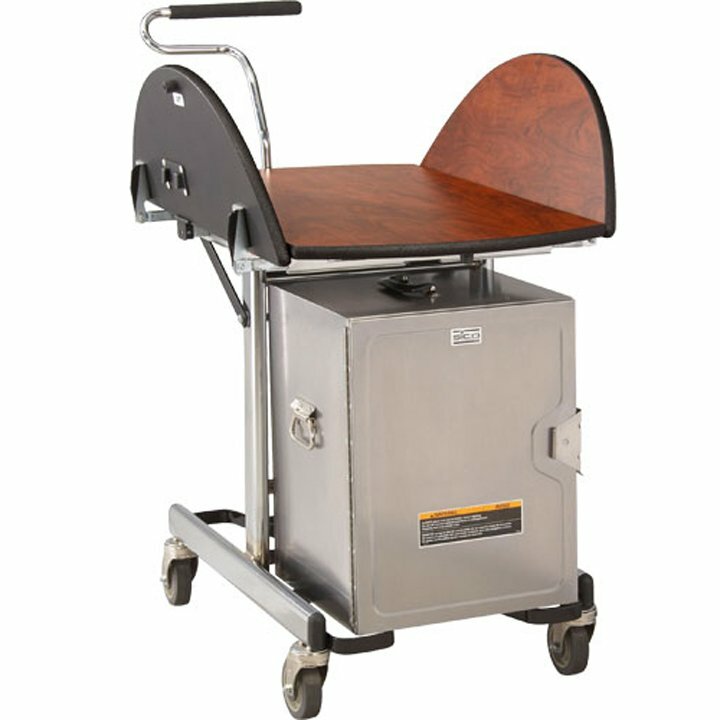 Plus, our unique center-leg design gives diners extra legroom, and the storage racks flip up to allow unobstructed seating — enhancing conversation and optimizing the guest experience. 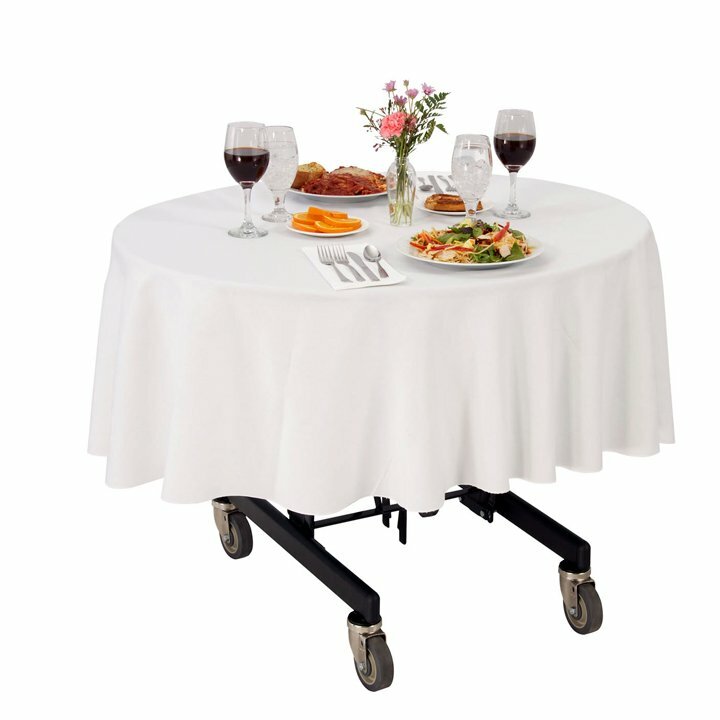 SICO® Table Guide — Delivering room service tables just became easier! Complete kit provided to retrofit your existing inventory. Rotate into the use position. Handle automatically locks into place. Slide handle slightly to the right to release. 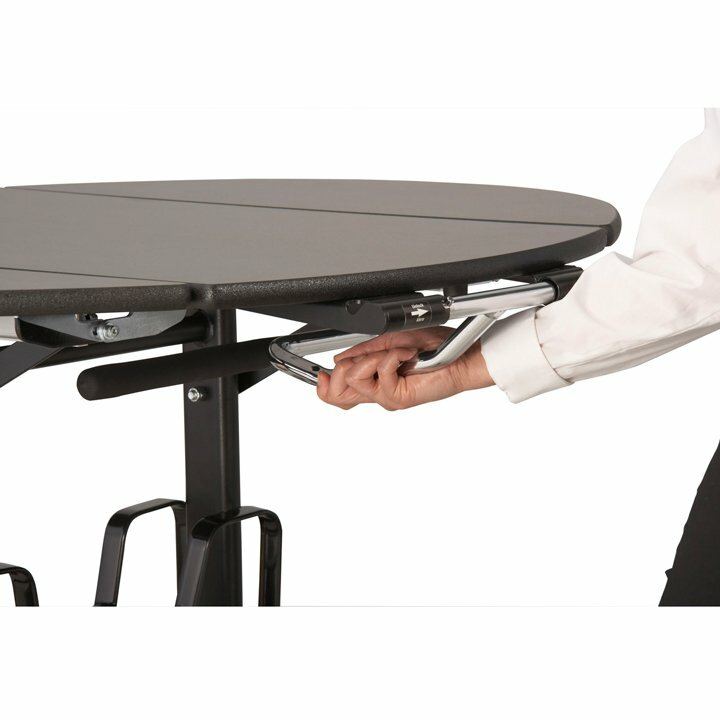 Allows ergonomically correct method to transport room service tables. 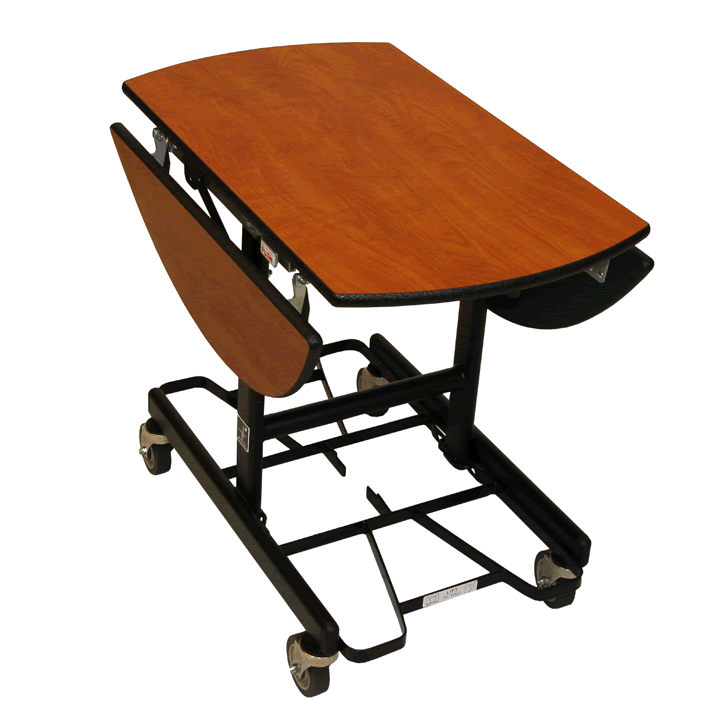 Guiding table while standing straight allows for eye contact with, and greeting of guests. 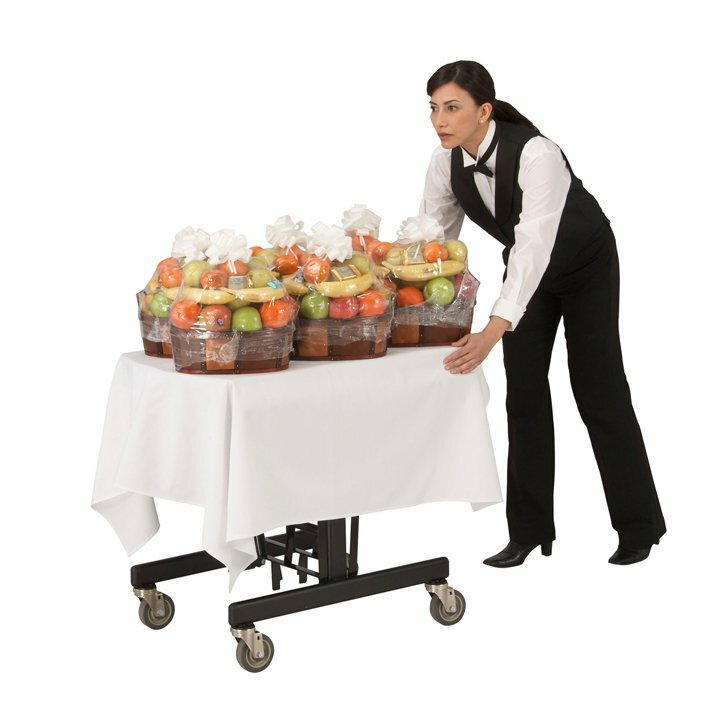 Reduces spillage and broken bottles/glass while en route to the guest’s room. This saves time and cost. 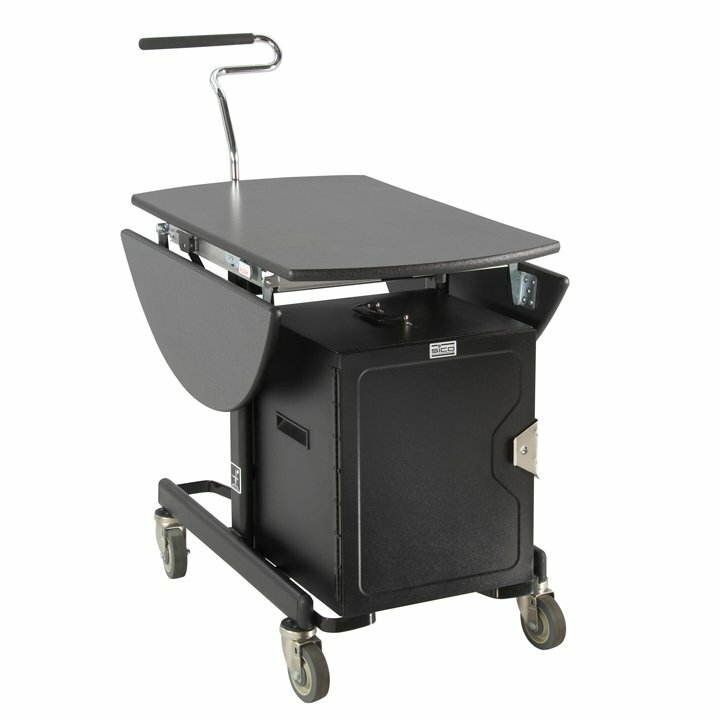 Makes maneuvering in and out of doorways and elevators, around beds and other furniture easier. More easily spot obstacles on floors and un-level doorways. 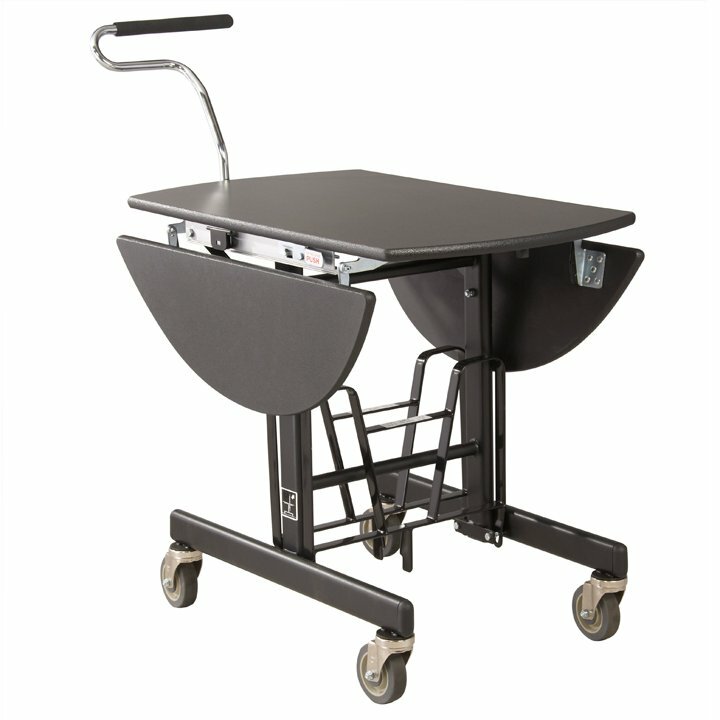 Better visibility keeps hands and knuckles from getting hit or scratched passing through narrow doorways. Move heavier loads with ease.